In The Billboard Book of Number One Hits author Fred Bronson wrote, “‘There! I’ve Said It Again’ by Bobby Vinton is one of the most significant number one singles of the rock era. Not because of anything inherent in the song or the artist, but because it signified the end of an era. Following it would be a dividing line almost as thick and impenetrable as Bill Haley’s ‘(We’re Gonna) Rock Around the Clock.’ Music would never be the same again.” Bronson was referring to the fact that the next number one song was “I Wanna Hold Your Hand” by the Beatles, who led a revolution in popular music. (From that droneshow.com) Note the absence of pontoon fenders, the sleeker and less bulbous roofline, the squared-off rear deck. The Tri-Five Chevys (1955-57) are highly sought after to this day. The small-block Chevy V-8 introduced in 1955 was, for all intents and purposes, built until 2003 using the same basic engine block. Over 100,000,000 (that’s one hundred million) of these engines were manufactured. Change can be gradual or it can be more discontinuous. While, of course, large car companies need time to change direction, when the change is revealed it can be quite a transformation. I was never a big fan of the shoe box Chevys. 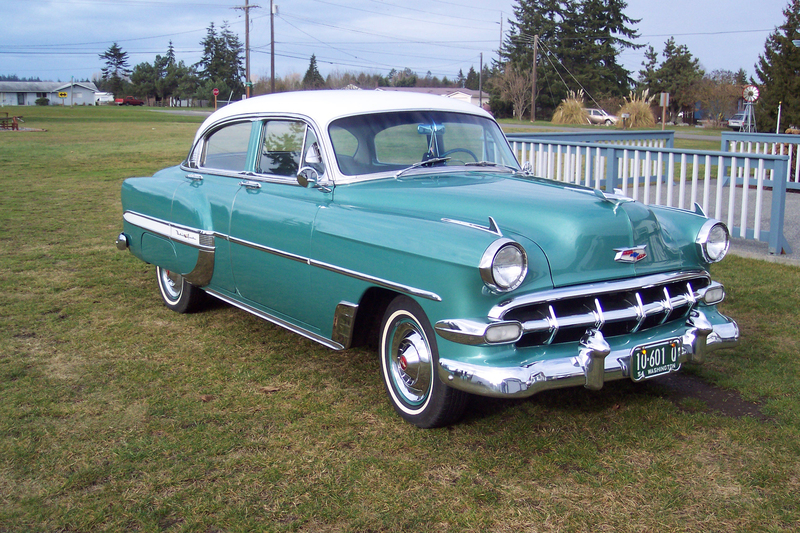 I always liked the early 50’s myself, the 54 you posted looks great, it reminded me of 54 Bel Air we toured Havana in.